With the launch, you can now choose either "Starbucks Signature" or "Starbucks Blonde" espresso for any of the chain's handcrafted espresso beverages. The company describes the taste profile of the new blonde (light roast) espresso option as "bright" with "sweet citrus notes and a smooth body." They describe their dark roast espresso as "bold and rich." Generally, light roast coffee tends to be brighter (tangy) while dark roast coffee tends to be more bitter. While new to us here in the States, Starbucks has offered a second espresso option in a number of international markets since 2013 and introduced Blonde espresso in Canada last year. 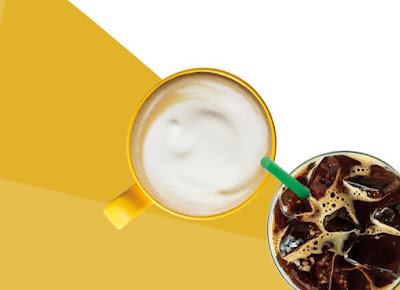 Starbucks has also offered Blonde Roast brewed coffee since 2012. Like Blonde Roast, Blonde Espresso is a permanent menu option.